The Royal Canadian Air Force's 429 Transport Squadron has painted CC-177 (C-17A) Globemaster 177704 in a special tail colour scheme to mark the 75th anniversary of the unit. The winning design was by Stephen Rodych, a Boeing Canada Field Service Technical Representative at in Trenton, Ontario. His design won a popular vote amongst the squadron and was then approved by RCAF leadership for the anniversary tribute. 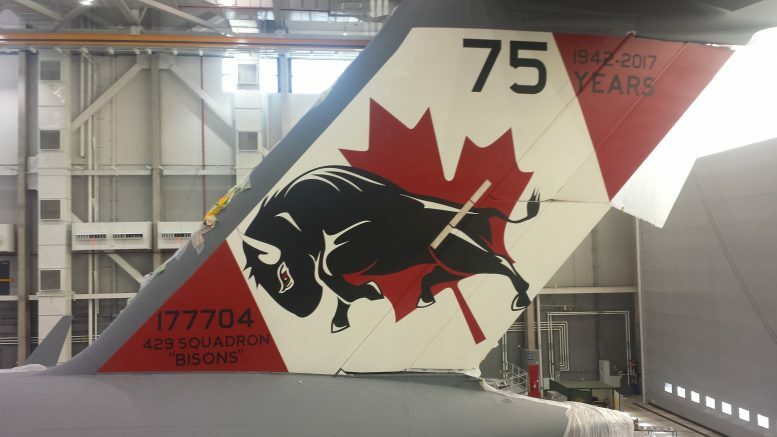 429 Squadron is part of 8 Wing at Trenton CFB in Ontario.